Two ships in today that I have not photographed before for my blog, the Seven Seas Mariner and Ryndam. Click an image to view full (I wounder how many times I've typed that phrase now). 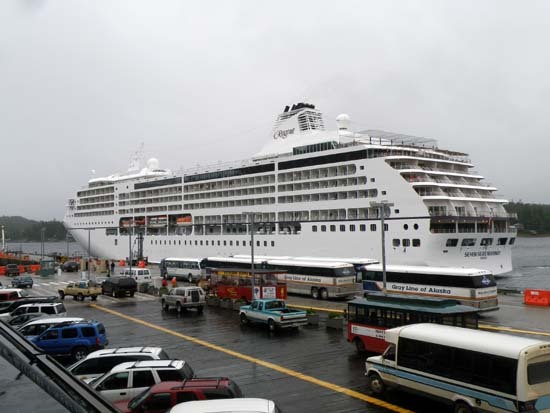 The Seven Seas Mariner coming in to dock. If you look closely, they don't even have any lines to the dock yet. You can also see a bit of turbulence from their thrusters at the rear of the ship. 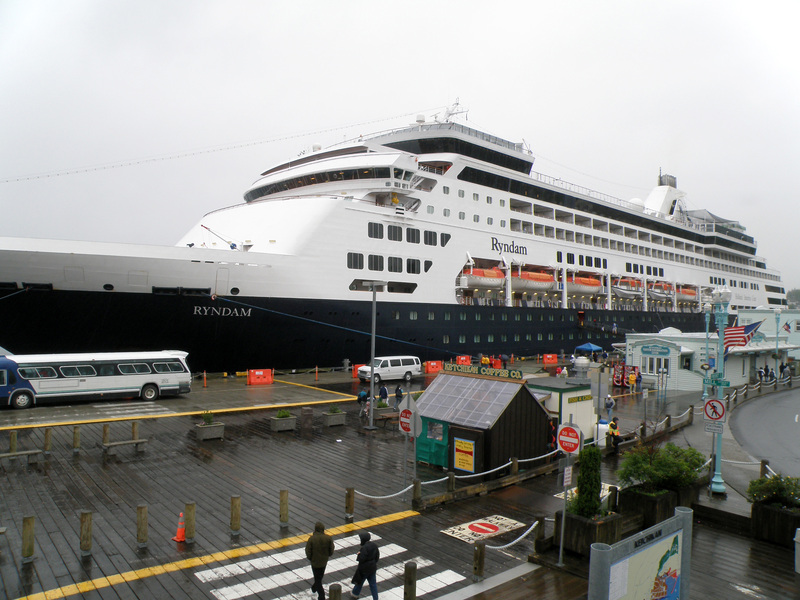 The Ryndam docked in Ketchikan, Alaska. Have I already asked if you would ever consider working for one of the lines? No, you haven't asked me. And actually, I wouldn't mind working on one of those ships, depending on what my function would be. Look into it... That would be amazing. Have every day of work be a luxury cruise... But I'm sure they don't have the best accommodations for their employees, only the passengers. I'm sure you could cope.